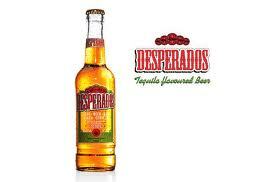 Last summer, I rediscovered how tasty a good old Desperados beer was. But I was also amazed to discover how pricy that good old Desperados beer was. In a standard Belgian supermarket, it cost me a little more than 16€ to acquire a pack of 6 Desperados… I recall that I actually complained to the cashier. I am now a little less surprised by the price of Desperados in Belgian supermarkets (although beer does not seem to be a target of the inquiry). If the infringement is confirmed, we’ll have to come up with a creative label for this type of horizontal+vertical collusion. Here’s my take: perpendicular collusion. But the decision may never come. The case has now landed on the desk of the decisional organ of the Belgian NCA. And, to put it euphemistically, this organ has not seemed very keen on actually enforcing the Belgian competition rules… This actually explains the recent legislative proposal that purports to suppress the existing NCA and replace it with a brand new competition watchdog, tailored alongst the lines of the French Competition Authority.